Note: If PDF does not appear, please allow pop-ups for ENMET.com and try again. Highlighting the superior design features of SAPPHIRE are the exclusive, interchangeable, pre-calibrated, smart sensor modules. 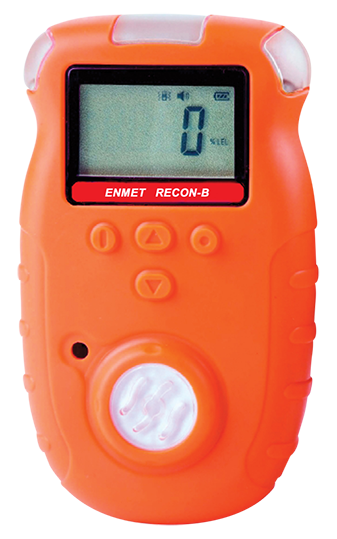 These interchangeable modules are available for detection of VOCs, % LEL hydrocarbons, CO2, H2, O2, CO, H2S, SO2, NO, NO2, and other toxic gases. The choice of electrochemical, IR, PID and MOS sensors facilitates selection of the best technology for each application. 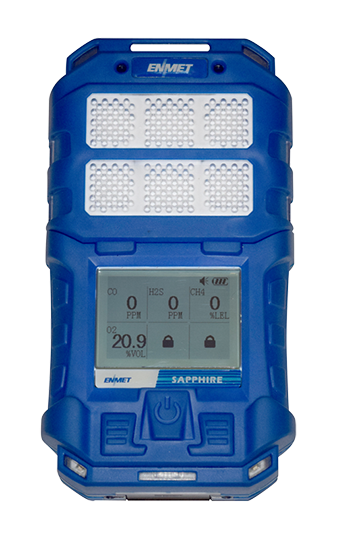 SAPPHIRE includes audio, visual and vibratory alarm indicators. The lithium-ion battery provides long operating life and fast recharge times. SAPPHIRE is not only SMART and easy to use, it is also very robust. 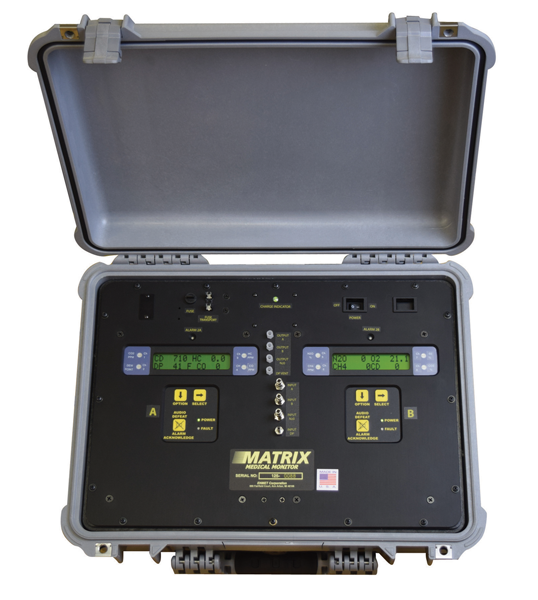 Intended for rugged service in harsh environments, the enclosure is constructed of thermoplastic rubber coated polycarbonate. 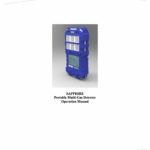 The SAPPIRE is supplied with a charger, calibration cover, hand ring/alligator clip, operation manual and Quick Start information card. If you cannot find what you need or require a custom part, simply call and speak to one of our knowledgeable gas monitoring experts. They will be able to walk you through the ordering process quickly and professionally. Contact ENMET sales department for product ordering information. 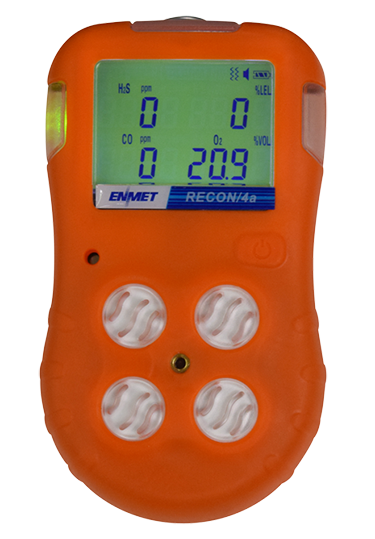 ENMET proudly celebrates over 45 years of creative gas detection solutions. 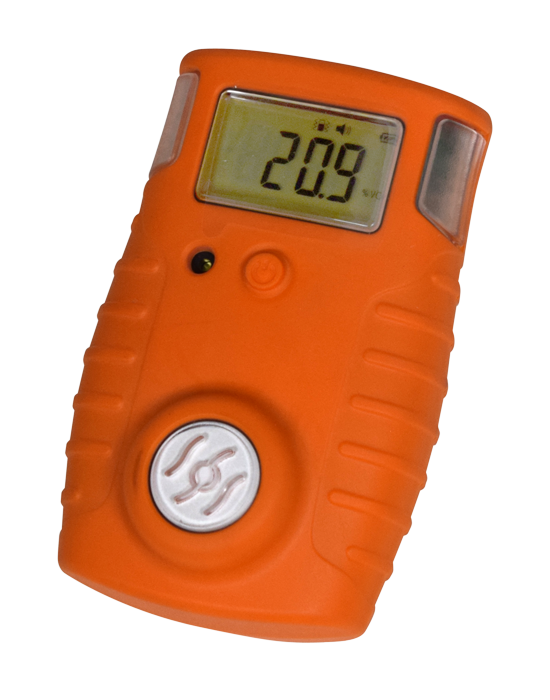 We offer a variety of gas detection systems for health and safety applications in industrial, commercial, medical, and other markets.